Many of the cases heard in New Jersey municipal courts are DWI cases. 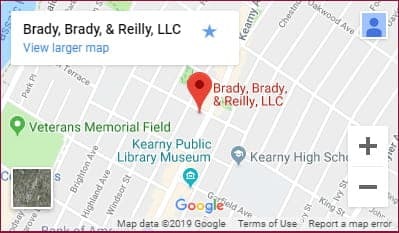 At the law firm of Brady, Brady & Reilly (BBR), in Kearny, our lawyers defend people charged with drunk driving. We have many years of municipal court experience and use it to seek favorable outcomes for our clients. When you call us about handling a DWI charge, our lawyers make sure you understand your rights, your options and the possible consequences of conviction. Our attorneys have been defending people against DWI charges for many years and know what to do. Investigate traffic stop to be sure it was legal. Was there probable cause? Were you operating the vehicle? Our goal in each drunk driving case is to reduce the charges or have them dismissed entirely. When dismissal is not possible, we propose alternate sentencing. We know that the stakes are high and can include loss of your license, jail time and points on your driving record. If You Are Convicted . . . If you have been convicted of driving while intoxicated in New Jersey municipal courts, our law firm can appeal the decision. You must act quickly to file an appeal, so it is important to contact an attorney immediately. We handle appellate work and are skilled at determining whether there are grounds for an appeal. Whether our appeal is based on technology, such as the accuracy of the blood alcohol test, or is based on a legal issue, such as the denial of a motion, our attorneys will develop a strong argument designed to overturn your conviction. Contact an attorney at BBR about your DWI/DUI case. Learn how we defend people in Jersey City, Newark, and throughout the region, in municipal court.